Lol some really bad teams! And typically 1-sided stomps if had a win. Zao's on 4th step of her missino (get 15 wins, not too thrilled about it). Made progress on grind to Kitakaze, Fletcher, and DM. Also took Richelieu her on her maiden voyage and she went splat after many faceful of a Lyon, Nagato, Fushun, and Buffalo's AP/HE volleys. Happily her MB traverse is much better and seems to be an improvement to Lyon's shotgun. 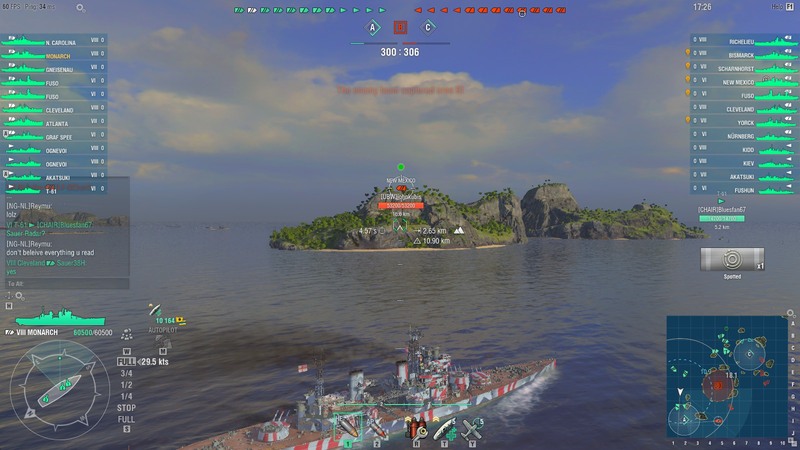 Turbotush joined me in his Yamato's maiden voyage. We lost that match. Oh yeah, Monarch was so frustrating that match I've free xp'd to Lion. Really tired of this BB having inconsistent accuracy w/ MB despite AIMS1 mod, and after my last AP volley at a Nurnberg, well-aimed within 6km, only 2 overpens, this crappy BB is fired. Not worth keeping. If Lion proves disappointing, may not bother getting the Conk. I managed to finish off the Jianwei, get into the Fushun, and begin a series of horrific faceplants. The DWT's make her a very different beast from the otherwise almost identical Anshan. I managed to ALMOST finish the Dallas grind. One or two more good nights should do me for that. I found myself at the end of it all with enough anniversary tokens that I only needed to buy one anniversary container to get myself a Pan-Asian Dasha for said Fushun. We will see what difference that makes. (I had already bought a space captain, but had been away for the days I'd have needed to earn the extra tokens to get the Dasha for free). All in all a good weekend - and because I also splurged on completing the dailies, I've got only six left (with far more days left in the month) to get the Helena camo. At this rate I will have the ship before the permacamo is earned, but I can make do with some from my stock until then. I sold the Monarch after 10 games. The ship is in need of serious buff just to make it some what competitive at it's tier. Turret rotation makes it liability to any kind of change of target. Armor is a joke, concealment is great but you can't take advantage of it. The main guns are rubbish... AA/Secondarys? Irrelevant. Total crapshow of a ship. 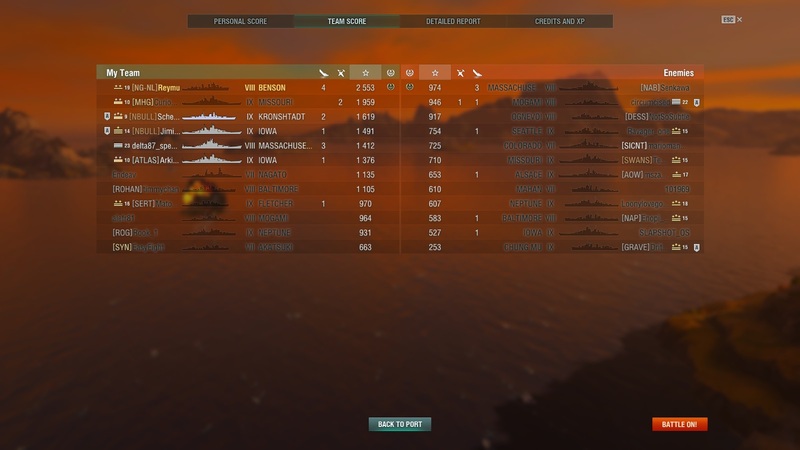 So far all the Brit BB's I've played with exception of HMS Hood have been garbage. I fxped up to the Harugumo thanks to the nice showering of dubs and fxp from the T10 supercontainers. Had a few decent battles in it. 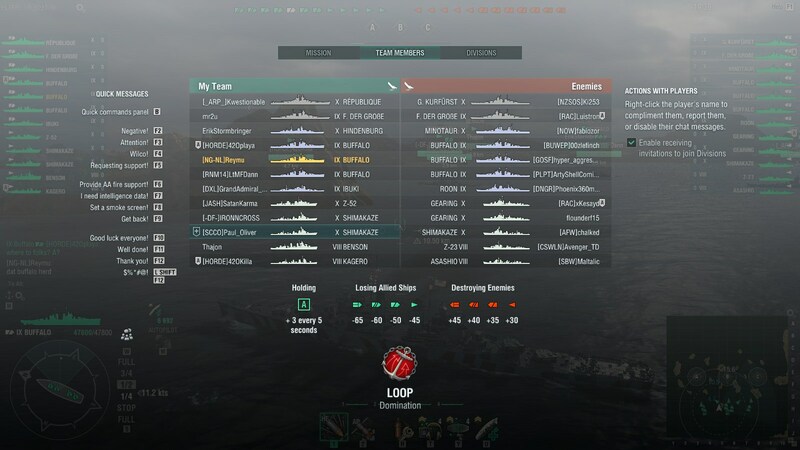 There was another battle though where the Mo on my team decided at the beginning of the battle that it was lost because no one went to the cap he wanted and proceeded to throw the match by yoloing by himself to said cap. Horrible matches all weekend but I can't blame anyone but myself. Hmm, blew my free xp stash on 4 more T-10s, got 19 SCs via co-op, some steel, a bunch of camos and flags, month of premium, etc, but no ships. Did some randoms with friends and got a kraken + 2 with Cesare. Had a couple good, hard fought wins and a few blowouts, mostly positive. Some good, some bad games all weekend. Was able to purchase the Helena and Tier IX Buffalo at their reduced prices (my first T9 from grinding). Good weekend for experience on those ships I won in. Also got a random SC with 15k coal in it, so that was a plus. Friday was awesome, and I earned one new ship (Fushun) and bought another with my hoard of tokens (Aigle). 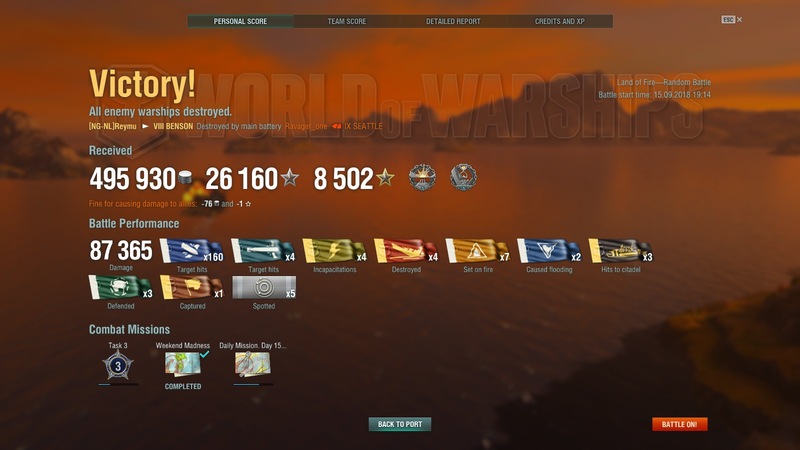 Played a ton of games, and had a lot of fun- inc my best ever games in a couple of ships- inc Budyony. Sunday- Earned Schors, and played a bunch of games. Some fairly lame ones, some really good ones- you know, a typical Sunday, lol! Outfitted and took out my Dallas for the first time- and I think we have a winner! Among other things, this ship is a weapon of mass DD destruction! Also trashes other CL's with it's AP. Also had a couple of sweet games in Des Moines where I utterly annihilated an enemy cruiser. There was literally nothing they could do but sink, lol. One DM got off exactly one salvo- of HE- at me. My AP salvos just ripped off citadel after citadel- I think I ended the game with 7 (or was it 9? 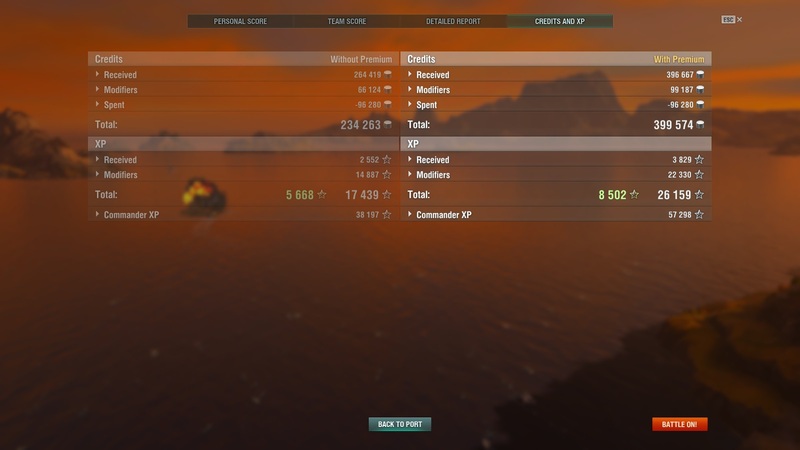 I didn't grab a screenie), and he was the only ship I citadelled. (shortly thereafter, we won when the reds reached 0 points. 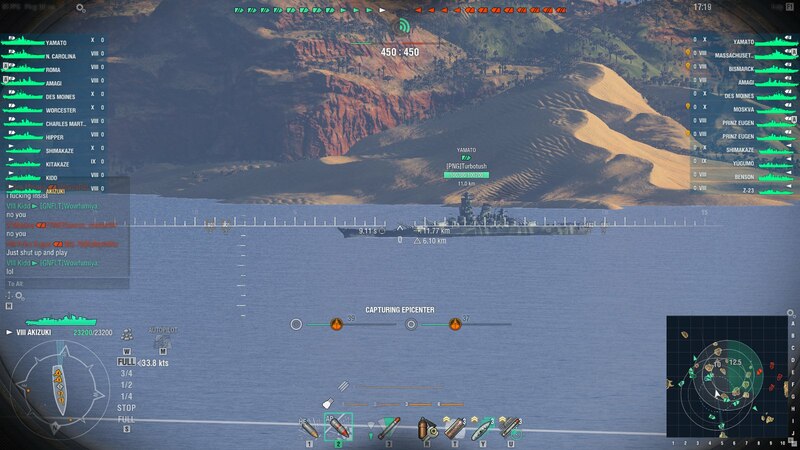 Good thing, too- I was facing a MO at point blank range, with another tier 10 BB close behind him...) THIS is why I love CA's- and esp US CA's so much: because they can do this! !